A couple months ago, I was thinking about reading Graham Nash's new book, Wild Tales, but I was sufficiently warded off by advice that it would make me dislike the primary figures portrayed in the book. 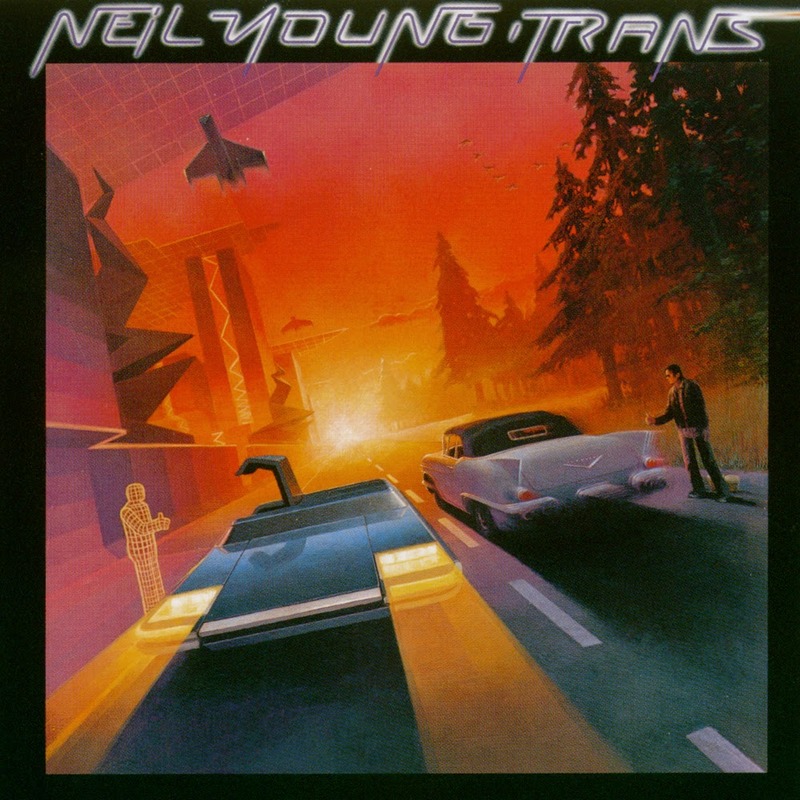 However, my interest in Nash and his scene had been piqued by the release of CSNY 1974, and I'd also just discovered that Neil Young's Archives Vol. 1 is on Spotify. (This seems utterly bizarre considering his well-known hatred of low-quality digital audio formats). Thus, when I found a copy of Shakey on my parents' bookshelves, I decided to give that a try instead, and so I asked to borrow it. Shakey had a tumultuous history, and remains somewhat contentious in the hagiography of Neil Young. I don't want to retread water that's been well documented elsewhere, and that includes most of the actual history of the artist in question, but there is still the matter of the quality of the book itself. What I am most concerned about here is the ability of the author of the biography, Jimmy McDonough, to transmit the many-faceted life and music of his subject to the reader. Two things smack you in the face within the first few pages of the book: the massive ego of the author and the incredible amount of time and energy that went into the project. The lowest points of the book are when McDonough's language gets so ridiculous that you can't take him seriously and you start to question his motives. His opinions are strong and they are scattered all over the book. Avoiding them is impossible. A less-informed reader would come away thinking that Crosby, Stills and Nash are three of the absolute worst humans to have tread this planet (okay, maybe not Crosby), Pearl Jam isn't much better, Crazy Horse is God, Bob Dylan is Jesus, every band from the late 70s through the present is absolute garbage, and Neil Young must be the Second Coming or the Holy Spirit or whatever makes sense out of these awful clichés. Many people get away with hating contemporary music or new wave or whatever their favorite scapegoat is, but McDonough's virulence is irresponsible. He's allowed to have his opinions, and it wouldn't even bother me if they were presented in a measured fashion, but because he paints in such broad, black-and-white strokes, it's hard not to get distracted. Crazy Horse very well might be his best creative partner, but to pretend that Neil's other collaborators are meritless is unreasonable. 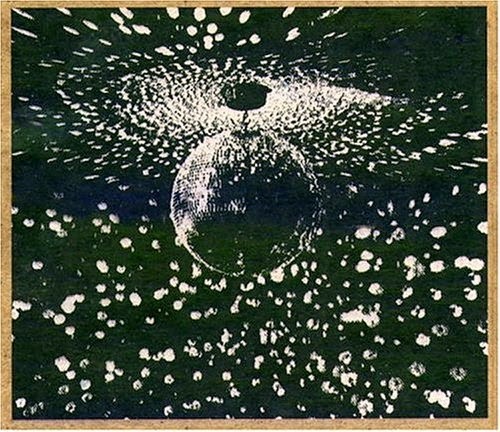 For example, CSNY in the early 70s were on fire, even if they never again truly recaptured it; and Neil's album with Pearl Jam (Mirror Ball, 1995) is one of his best and most consistent. Similarly, he tries to portray Young as apolitical, or merely subject to the whims of his time. He successfully makes a point that Neil has appeared out of touch at times, and that he has made his fair share of stupid or ridiculous comments, but he also ignores Neil's long history of political themes. 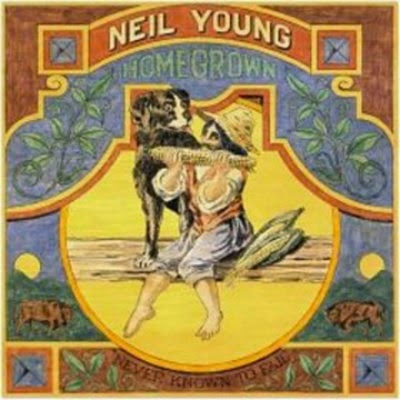 Neil may have become more overt with his subject matter in recent times, but even if you write off the obvious "Ohio", "Southern Man", and "Rockin' in the Free World", what else can one make of songs like "After the Gold Rush", "War Song", "Campaigner", "Homegrown", "Pocahontas", "Powderfinger", "Shots", "Mideast Vacation", "Long Walk Home", "Mother Earth (Natural Anthem)", "Song X", "Act of Love", and so on? In keeping with his love of Crazy Horse and producer David Brigg's anti-overdub policy, McDonough overlooks that Neil has a perfectionist side that has produced an equal portion of his best work, starting with his Buffalo Springfield masterpieces "Expecting to Fly" and "Broken Arrow", and continuing throughout his career, including some of his best albums, such as Harvest (1972), Comes a Time (1978), Trans (1982), and Freedom (1989). The author tries to portray any carefully crafted album as lacking spirit or soul, but almost all of his albums are a balance of first-take gut instinct and mechanical perfectionism. Young's catalog defies simple categorization. Some of the lopsidedly overproduced albums, like Harvest Moon (1992) are dull and predictable, while some of the more underproduced albums, like Broken Arrow (1996), are lumbering and slipshod. Worst of all is his portrayal of CSN, and in particular Graham Nash. While largely excusing Crosby for his regularly awful behavior, and merely writing off Stills as a drugged-out failure, he spares nothing from Nash. The author paints Nash as overly sentimental and unartistically populist, yet fails to appreciate that he brings an element of balance and precision to their collaborations. McDonough cleverly overlooks that Nash and Young have a lot in common, including political interests and personal assistants (i.e. archivist/photographer Joel Bernstein). In fact, he never mentions the joint Nash-Young single "War Song" from 1973 at all, nor Nash's Wurlitzer contribution to "On the Beach". His role in the Time Fades Away tour and album and his many vocal contributions to Neil's songs performed with CSNY are also downplayed. Despite the author's negativity, the very photo on the cover of the book was taken by Nash! Another strange element, perhaps fitting into the author's overwhelming prejudices, is that he refused to interview several important people, including erstwhile record company owner David Geffen and latter-day collaborators Pearl Jam and Booker T & the MGs. Considering the number of subjects interviewed, these exclusions are obviously deliberate, and the author even calls them out specifically in the endnotes. The reasoning is apparently left as an exercise for the reader. Several subjects are also mentioned as ignoring or refusing interviews, including Bob Dylan and Stephen Stills. (Also, bizarrely, Beck.) While perhaps disappointing, their voices are hardly missed, and this is presumably no fault of the author's. Instead, several sections of the book focus on otherwise unknown, hyper-obsessive fans that the reader is given no reason to care about. Two of these figures, Ken Viola and Dave McFarlin, are repeatedly quoted and interviewed. Neither seems to offer a particularly sophisticated or unique perspective, yet both are treated as sage voices of the truth. Why their opinions are relevant is left unclear. A more complex subject is the author's treatment of Neil Young's family. First wife Susan Acevedo apparently declined to be interviewed, but she is still discussed. Young's next long-term partner, Carrie Snodgrass, and their child together, Zeke, are both interviewed and discussed, but when the narrative reaches the point of Neil's marriage to Pegi, the author states that he decided not to enter that space. Hence, Pegi is hardly mentioned at all, and it is unclear if she was even interviewed. Their two children together are also minimally discussed, except for son Ben's struggles with cerebral palsy. I don't think McDonough's decision is necessarily a bad one, but since Neil's personal life from that point largely becomes a transparent void, the narrative loses a lot of its force and weight. Up to that point, his life is analyzed and processed just as much as his musical endeavors, but after the mid-70s, Neil is presented as a purely musical entity. I understand the desire to respect the privacy of his children, but we lose a lot of perspective on what drives and defines Neil. Halfway through the book, the narrative has just reached February 1971, only a few years into Young's career. Much of his music-making career, throughout the 80s up until the manuscript was completed in 1998, is given a rushed, at best precursory treatment. To make it worse, as the narrative carries on, the author begins to insert himself into the narrative. His ego is large enough that he describes telling Neil that some of his material was terrible and shouldn't be released. Apparently, he didn't know what else to say about Neil's career in the 90s, so he just writes about hanging out in Neil's tour bus and model train barn. These might be interesting or unusual parts of Neil's life, but no one cares about how the author fits into them. McDonough's text makes for a frustrating read. He gets so much right – he digs deep into Neil's circle, he doesn't shy away from Neil's eccentricity, he researches all the obscure unreleased material, he describes all the best concerts and tours that you'd never know happened in Santa Cruz or New Zealand or wherever, and he doesn't always paint Neil in the best light. Shakey convinced me to immediately start seeking out a bunch of bootlegs I didn't heretofore know existed and to give some of his weirder, less popular albums another listen. That right there is indicative of a successful rock biography. But on the other hand, the author's arbitrarily harsh opinions too often get in the way of the story. His over-the-top style of trying to come off as some sort of streetwise hustler only makes him seem immature and less credible. His blatant preference for the seedy, grainy side of everything tarnishes his perspective on anything fashioned in any other manner. And while the thoroughness of the book is hardly a fault, the length is a little excessive when you consider how much of the material relating to himself or to irrelevant fans could be trimmed. 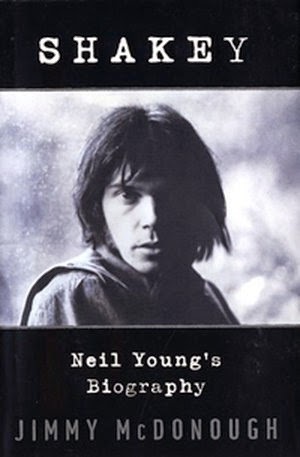 I wanted to read a book about Neil Young, not a book about Jimmy McDonough and his fanboy preoccupations. This cracked me up. Well done!